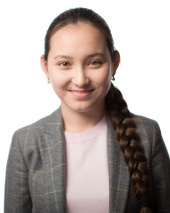 The Kazakh IM might be just 19 years old, but she already has a chess resume that would satisfy a player twice that age. Born in Almaty, Kazakhstan, Zhansaya won the GIrl’s U8 section in both the Asian Youth and World Youth Championships in 2008. 2011 was an especially big year for her, as she not only won the Worth Youth Girl’s U12, but also snagged her WIM title by tying for first in the Girl’s U20 ASEAN+ Age Group Championships. This was quite the accomplishment for the 11-year-old, and she certainly didn’t slow down from there. Abdumalik has represented Kazakhstan on the international stage, and between her and fellow IM Dinara Saduakassova, they have turned the nation into quite the dangerous team. At the 2016 Asian Nation’s Cup, team Kazakhstan won the bronze medal, and Zhansaya secure a silver medal for her board two performance. Her open tournament resume is also quite impressive, as she won the 2013 Brno Open in the Czech Republic with 7.5/9. In 2017 she made a big splash on US soil, trying for second at the World Open with a score of 7/9 and securing her first GM Norm. Abdumalik secured her next two GM norms in short order, and only needs to boost her rating to get the title. If she manages a strong performance at the Cairns Cup, the younger superstar could do just that.